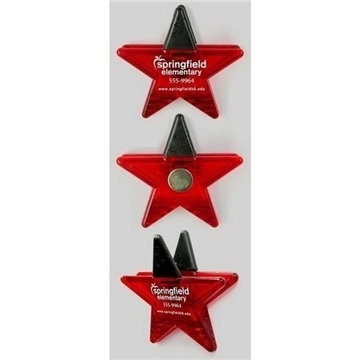 Gator Mag™ - Star (Red) - High intensity magnet clip in a fun shape. A great tool for team workshops ! Thank you AnyPromo for this! We received product. They look fantastic! Thank you! It was way better than I expected for the price! Color and design was exactly like the picture online. Thanks!I will need more in about a month.